The actor Ichikawa Danzô I held the name of Ichikawa Dannosuke I from the end of the 1680s or the beginning of the 1690s to the 2nd lunar month of 1698. Dates of birth and death unknown. 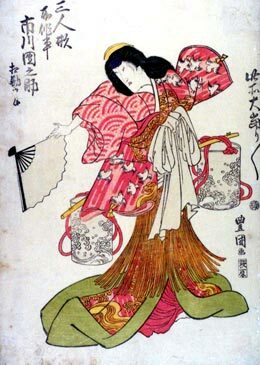 Elder son of Ichikawa Danzô I, he was active in Edo between 1715 and 1717. No record afterwards. 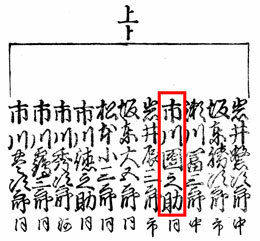 The actor Ichikawa Dannosuke III held this name from 1800 to the 11th lunar month of 1817. Dates of birth and death unknown. 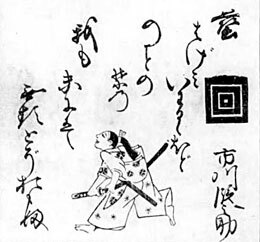 Son of Ichikawa Danzô IV and younger brother of Ichikawa Dannosuke III. 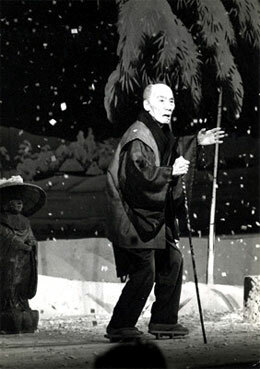 His first stage names were Ichikawa Sennosuke and Ichikawa Asatarô I. He took the name of Ichikawa Dannosuke IV in the 11th lunar month of 1822, playing at the Moritaza in the drama "Hanayagura Wakoku no Kachidoki". 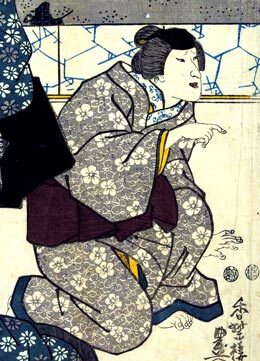 He appeared on stage for the last time in the 3rd lunar month of 1829, at the Nakamuraza, where he played a minor role in the drama "Yoshitsune Senbon Zakura". He retired from the Kabuki world afterwards and fell into oblivion. The actor Ichikawa Dannosuke V held this name from the 11th lunar month of 1844 to the 11th lunar month of 1864. Date of birth unknown. Son of Ichikawa Dannosuke V, he started his career at the end of the 1850s and his first stage name was Ichikawa Dan'ya. He became a disciple of Ichikawa Kuzô III and took the name of Ichikawa Dannosuke in 1873 but was never acknowledged as an official holder of the name. He died the 29th of April 1884. A minor actor held the name of Ichikawa Dannosuke between 1887 and 1911. The actor Ichikawa Dannosuke VI held this name from November 1915 to September 1963.